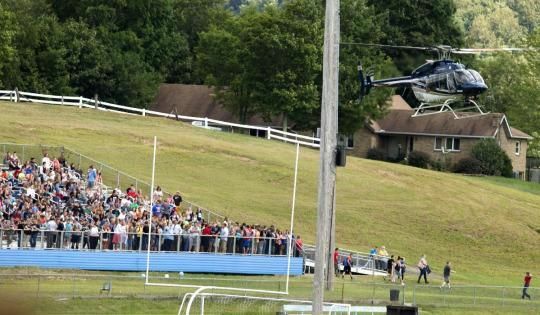 A history teacher is being hailed as a hero for talking down a pistol-toting 14-year-old who took a classroom hostage at Philip Barbour High School in West Virginia on Tuesday. Shortly after 1 p.m., according to WSLS, the student — whom Barbour County Schools superintendent Jeffrey Woofter called a “very troubled young man” — pulled out a gun in a classroom of 29 students, just as classes were about to change, and took them hostage. The educator (whom Woofter would not name) did “a miraculous job, calming the student, maintaining order in the class,” he said. At gunpoint the teacher reportedly talked with the teen and persuaded him not to allow more students into the classroom. The turned-away students were then able to notify another teacher, who alerted administrators to call 911 and evacuate the rest of the 724-student body to the football stadium. This entry was posted on August 27, 2015 at 9:19 pm and is filed under Inspirational Teachers. You can follow any responses to this entry through the RSS 2.0 feed. You can leave a response, or trackback from your own site.